For the small businesses that serve the tourist trade from the O.C. through the Pacific communities like Carlsbad and Oceanside, QuickBooks consulting is available to help them with the mysteries of bookkeeping. Since the program was introduced, it has become the standard for small and independent businesses when it comes to keeping track of their business accounting. Intuit’s well-known program, QuickBooks, is a business accounting software package that grew out of the program they developed for individual, personal bookkeeping. The developers realized there was a ready market among independent small and medium sized enterprises who needed an accessible means of keeping track of their financial records. In the early 1980s, Intuit founders realized that the success of the Quicken program for personal bookkeeping could be turned to the development of a similar program for small businesses. They listened to the feedback they received from small businesses about the features that users wanted and needed for their own specific situations. The result was that the program gained popularity with entrepreneurs who did not have any formal training in accounting. The developers continued to shape the program, so that it could assist small businesses with the types of records they needed and wanted. Each development made the program a greater asset to the independent business that wanted to focus on its product rather than its accounting. The features that came to be included in the software allow each business a range of options in tracking the financial life of their enterprise. The key features of QuickBooks give any business owner many ways of looking at their financial life, helping them to plan ahead with better information. · Scorecard – Helps you compare the state of your company with your business peers in your industry. These features and others can be adapted to your specific needs and concerns. Intuit now also offers a cloud-based service, so that businesses no longer need to constantly update their own software or worry about their own servers crashing. With records kept in a secure cloud database, the fear of loss of data is greatly decreased. Another advantage to using the cloud-based version of QuickBooks is that program updates are integrated into the service, rather than taking time for update downloads to your business’s software server. For the small business that is starting out, there is an inevitable intimidation factor of having to learn software that isn’t directly related to their particular interest. Very few entrepreneurs start out wanting to be business accountants. That is why there is a market for outside accounting services and consultants who can coach business owners and their staffs on the workings of QuickBooks. If you find yourself in need of such help, be reassured that it is never far away, and well worth the time spent on being introduced to Intuit’s QuickBooks. For small businesses in southern California communities like Carlsbad bookkeeping services can help them keep track of the items that they can deduct on their tax forms. Having the advice of a bookkeeping specialist on what things can be used as tax deductions is a big advantage in making choices for growing the business. Every dollar that can be cut from the tax bill is a dollar that can go toward building up the company’s activities. Knowing what can be considered as a business tax deduction can be a big help for businesses. There may be limitations and conditions on what can be deducted. Also, there may be differences between what one can deduct for federal taxes and what can be deducted for state and local taxes. Most taxing agencies allow people to make deductions for trade and business expenses, though the expenses must come from building up the business. The cost of the goods of the business can be deducted. It’s possible that the cost of work equipment can be deducted or amortized in the tax forms. Rents of business space may also be included in the potential deductions. Each specific business needs to learn what things can be regarded as cause for deduction. A general list of deductions will not cover all possibilities. A tax accountant or business manager would know which elements a specific business can be used for these purposes. The biggest element in including deductions is actually keeping track of them during the course of the year. Things like mileage on the work vehicles needs to be recorded on a daily basis. 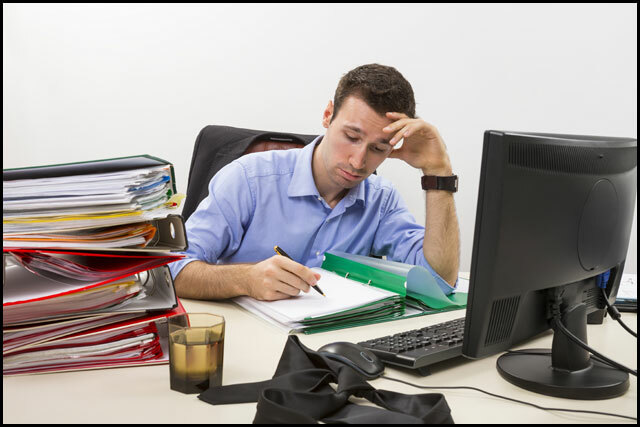 For a small business, the amount of record keeping needed could become distracting. Being aware of what can be considered a deduction isn’t always on the mind of an entrepreneur when he or she starts up their operations. But the benefit when it comes to tax time can be great. Every small business should know ahead of time what they will have to keep track of, in preparing their record-keeping. Hiring the assistance of an outside bookkeeping service can go a long way toward meeting those challenges. A professional bookkeeper will be on top of the current deduction options for the pertinent tax agencies. Every bit of data about the business may become an advantage in the tax accounting. The small business owner should keep an eye on the tax deduction possibilities as much as the basic profit profile, and using an expert bookkeeping service will carry them a long way. 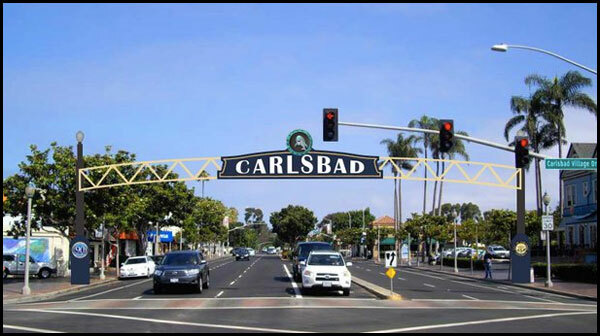 For young, vibrant community with thriving and growing enterprises needing business management Carlsbad is the land of opportunity. Businesses large and small have their eyes on the future, for changes in technology and well as the on-going choices for vacation activities. The city is close enough to the attractions of San Diego to appeal to vacationers, and yet it has aspects that make it a draw for year-round activity and business. TaylorMade-Adidas Golf Company and Callaway Golf both produce golf clubs and various accessories. Perhaps the resorts of the Carlsbad area inspire these manufacturers. ViaSat serves the commercial and military markets with high-speed satellite broadband services and networking systems. However the most famous of the larger employers in the area is Legoland California, a definite tourist destination with its Lego-themed Sea Life Aquarium, water park and resort hotel. In addition to Legoland, there are other resort hotels in the Carlsbad community. The tourist industry has a major impact on businesses in the city. There are many small businesses that cater to the recreation activities. Holiday apparel, casual dining, beach sports and activities, there are enterprises that serve these things. It’s a flourishing market for new, innovative businesses. With opportunity for new small businesses to create new products and services for the Carlsbad community, entrepreneurs will want to focus on their mission statements, not the mundane details of bookkeeping and general management. And yet, many such businesses do not have the budget for a full-time business manager or bookkeeper to handle those tasks. They face the possibility of having key personel split their time between the necessary records keeping and the jobs they want to devote their time to. A solution for this problem lies in the availablility of outside bookkeeping and business management services. By hiring an outside provider, the new business owner saves the cost of hiring a full time manager while gaining the expertise of someone who had devoted themselves to the details of all aspects of business records, from inventory tracking to the latest regulations affecting payroll tax withholdings. Carlsbad, with its younger-skewing population and resort and recreation orientation, offers much promise for the visionary business developer. The more fore-sighted owners will take advantage of outside business management companies such as White Business Management as they get started. The peace of mind that comes with knowing that the company records are kept in the best order possible will help any owner to dream bigger and better for their prospects in Carlsbad. If you are considering hiring management services in Carlsbad, contact White Business Management for a consultation today. We can devise the best combination of services that will meet all your needs. For anyone who has worked for someone else, the concept of the payroll is simple and clear. It’s the record of how many hours the employee worked and how much that person is due to receive in pay. But for any business, the payroll records include more than that. For smaller businesses in the Southern California region, keeping track of these crucial numbers is very important to the company’s survival. For services in business management Carlsbad enterprises can turn to White Business Management for assistance. A small company often needs to seek assistance for bookkeeping and accounting. A business management service can provide them with the expertise for record-keeping that they need, without the expense of maintaining a full time payroll department. With computerized records, an outside manager can handle the coordination of employee accounts easily. Such services are frequently a budgetary advantage to the company that uses them. The let the company executives focus clearly on their productive interests since they will know that the crucial bookkeeping matters are being handled competently. An outside management company, such as White Business Management, can keep the records up-to-date consistently. They will not be distracted by crises in production, or staff issues that might consume supervisors’ time. The business management company will compile the data, prepare the accounts, and make sure that the paychecks to the employees are prepared according to a set schedule. One of the major concerns these days in handling payroll matters is that tax regulations and requirements for employers may change often. Having a management service oversee the payroll for a small company means that the executives can feel comfortable that the latest regulations will be complied with. Management services specialize in staying current with changing requirements. The bookkeeping service will be aware of the necessary tax withholdings that must be addressed. The service would also know what records need to be kept for proper tracking of outside contract workers. Selecting a management service to handle payroll matters can provide peace of mind to business owners who need to focus on their production matters. They will know that the details of the payroll issues will be attended to by a professional specialist who is fully aware of all regulations. They can feel comfortable that all the staff will be promptly paid, and none will be accidentally overlooked. Additionally, a management service can prepare the records for tax purposes. For Carlsbad small businesses, choosing a business management company to handle all payroll matters will aid in smooth operations. The company employees can all focus on the actual business and not worry about the bookkeeping matters. In Carlsbad, White Business Management has established a reputation of providing exemplary services to their clients. Contact us today. It’s very easy for small businesses to get bogged down in details, feeling that whether they are from San Diego to Los Angeles, business management services may be out of reach. Many enterprises launch themselves into the market throughout Southern California with innovative ideas or services that appeal to customers and clients. But the day to day management of the business details can end up stifling the visionary entrepreneur and sinking the forward motion of the business. What is the small business owner from Carlsbad or Northridge to do when faced with this problem? One of the first things any entrepreneur should do, once they’ve expanded beyond a one-person operation, is to consider hiring a business management service. By engaging a trustworthy bookkeeping service, the businessman can be sure that matters will be tracked and taken care of, such as maintaining the payroll for the employees, overseeing the income and expenditures, and even handling the 1099s for the independent contractors that may be used. Everyone knows that a good business is one that stays on top of its bookkeeping. It is important to make sure that the income exceeds the expenditures. But good bookkeeping is more than just keeping the accounts balanced. It involves tracking regular payments and making sure that the predicted income does indeed come in. Regular expenses have to be tracked as well, to make sure that creditors are paid on time, and service bills in particular are paid when due. A management service can help the small business with these points. Instead of having a paid staffer who would be giving up precious work time that could have been devoted to your product or service, so that he or she could maintain the business records, a hired management service will take care of all that in an efficient manner. Your workers can devote their energies to the specialties you provide, instead of feeling that they should have taken that accounting class in college. Finding a suitable management company is not always an easy thing for the start-up business or independent operation. Because small companies are often unique in their products and services, they may not have the type of revenue that would attract the attention of a large management company that handles hundreds of businesses. And there’s also the lack of personal engagement between the business management company and the actual small business. When you want to feel connected with your business manager, choose a smaller management company where you can be certain you will get much more personal attention. Such smaller bookkeeping services can work with you on developing and pacing your growth, since the management company will be much more aware of your own business rhythms. Each of these tasks takes time and awareness to be properly handled. Instead of wasting the time of your talented artisan in trying to deal with these chores, a management company will oversee them with a practiced eye for detail. With the growth of the internet, it is no longer necessary for a business management provider to be onsite with your business. Computerized record keeping and secure communication channels are available to allow at-distance maintenance of business records. The advantages for the small business owner in choosing such an arrangement are many. Consider the advantages of getting a business manager. Providers can be found easily when you seek them. White Business Management can deliver the best in such services wherever you are in the Southern California region, from Carlsbad bookkeeping services to payroll management in Los Angeles. Contact us today and discuss your needs with us.